I love your haiku. I am having a hard time with the words this week. You’ll get there 🙂 You’ve still got plenty of time. LOL, great haiku, that’s how I pronounce it too! Two syllables to say…one bite to eat. 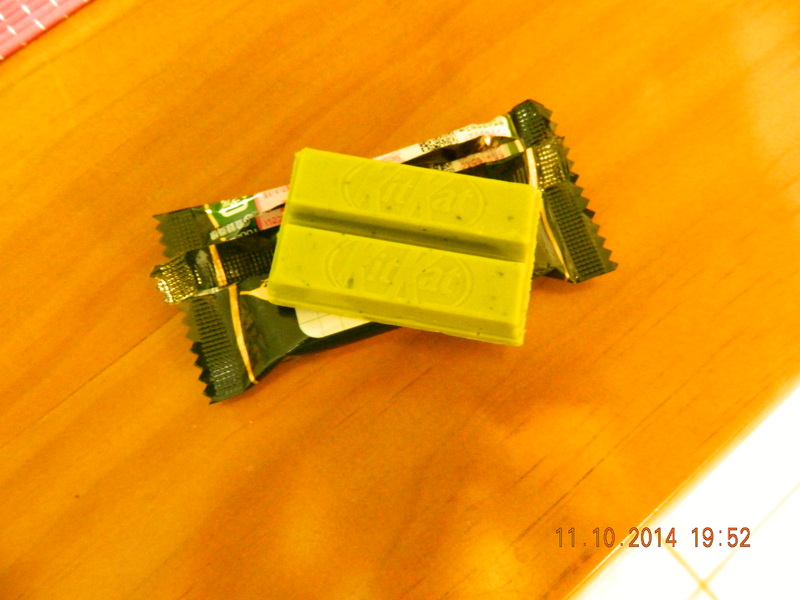 Green tea chocolate, wow, seems delicious! I love everything made with green tea. Great haiku, I’m sorry it has turned foul. Awesome! Seems like everyone here pronounces it as two syllabus. Why do we even have that extra o? Ha! I say choc’late too, so perhaps you also say may’naise? 😉 Big bummer about the sweet treat gone bad, but yay! to the inspiration, a fab Haiku! Thanks! Everyone seems to say choc’late, but I do actually say mayonnaise. The yon is definitely there for me, how weird!